It does not get any better than this! The most popoular plan coveted "B" plan unit on the fabulous front row of Alderfeild Place. Unlike any other layout in the subdivision, these units afford you the opportunity of having a main floor or upper floor master bedroom option with 5 piece ensuite. Upon entry, you will be swept through the living and dining rooms featuring trademark vaulted ceilings and plantation shutters that have given Edenshaw its unmistakeable look and character. 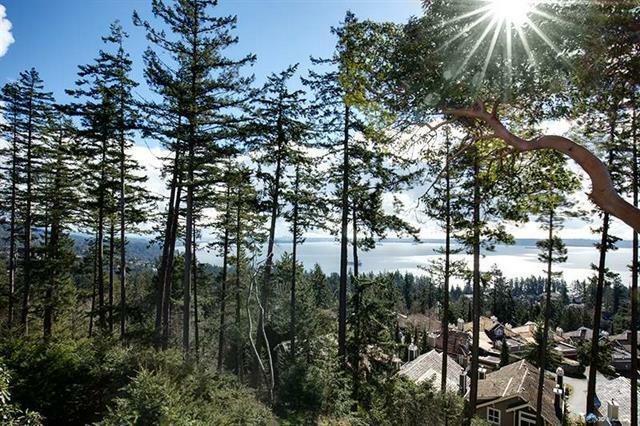 The family room, kitchen, and main floor master bedroom lead you out to a private balcony that enjoys world class views of the city, ocean, and Vancouver Island.